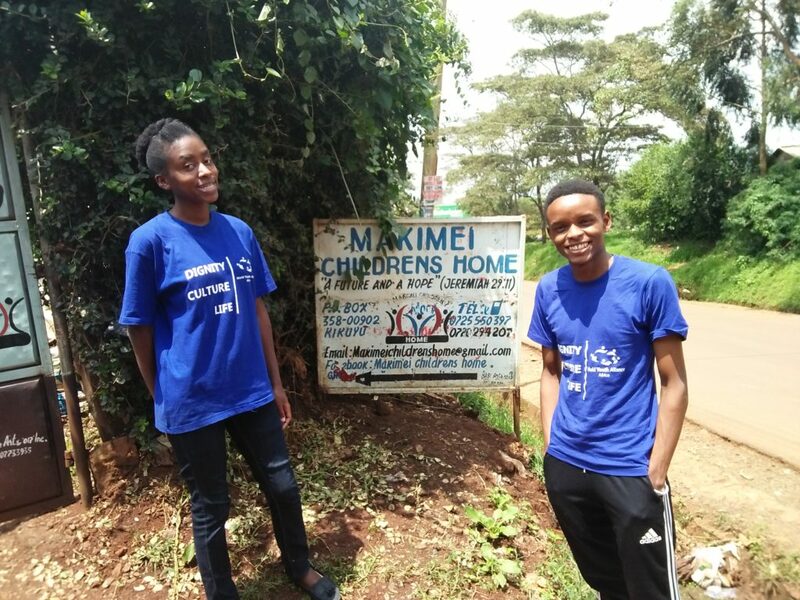 On Monday 6th August 2018, the Kenya High school – World Youth Alliance club set out to visit the Makimei Children’s Home in Kikuyu-Gitaru area to implement the second phase of their dignity project. The girls spent the day interacting with the children at the home. Owing it all to their previous visit to the home during April, the girls managed to raise a total of KES 40,500 (USD 405) to aid in the purchase of land for the home; inspired by the lesson on giving the ‘gift of self’ to others taught to them during the World Youth Alliance club meetings in school. The joy brought to the home by the visit was evident on the children’s faces as they got to interact, play and be fed by the girls. The founder of the home, who most referred to as “mum”, was truly delighted by the act of kind gesture shown by the visit. The WYA Africa team pointed out the joy in the children and stated that it is an indication that they have truly been loved; showing from how they interact with others. It was quite an honor to accomplish the dignity project by supporting the less fortunate in our society.